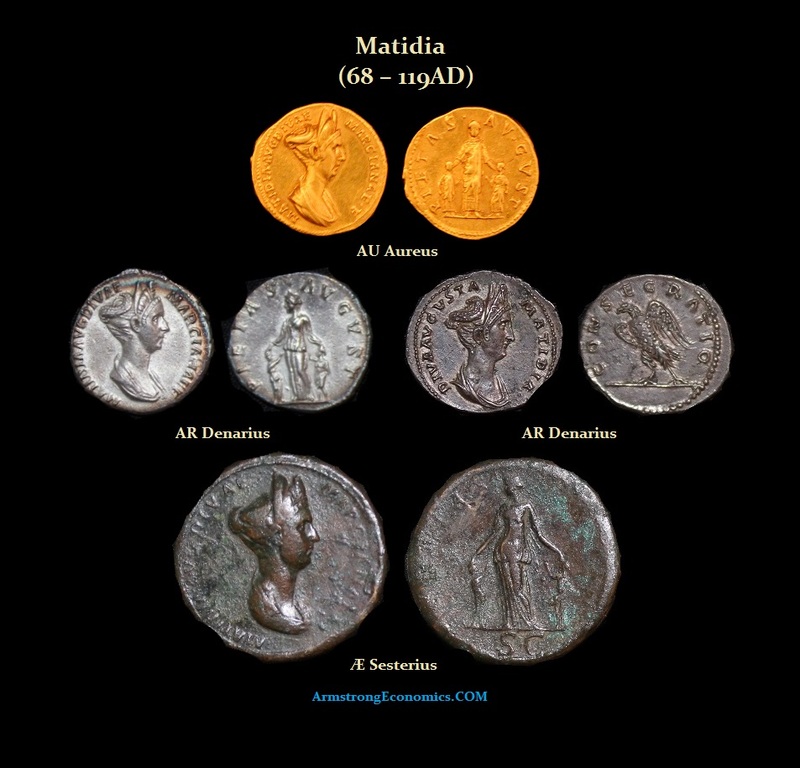 Matidia was the daughter of Ulpia Marciana (older sister of Trajan) and C. Salonius Matidius Patriunus. 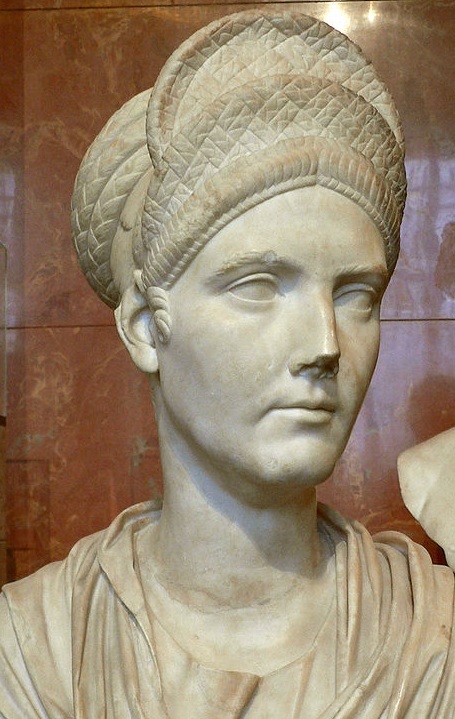 Her father died in 78 AD and her mother became a devoted supporter of her brother, the Emperor Trajan. She was given the rank of Augusta, which she shared with Trajan’s wife Plotina. 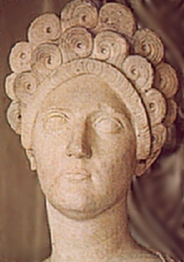 Matidia married L. Vibius with whom she bore a daughter, Sabina who later married the future Emperor Hadrian in 100 AD. Following the death of Trajan, it was Matidia who carried his ashes back to Rome in 117 AD. Matidia’s relationship to the Emperor Hadrian was very good. Hadrian bestowed upon her the title of Augusta and upon her death he had her deified. Hadrian himself gave her funeral oration and held games in her honor as well as put up temples and sculptures of her following her death.